Cheesecake… and a double bacon cheeseburger with supersize fries and a coke. Throw in a vanilla or chocolate milkshake. If you crave any of these food choices (and many of us do), also know that you’re creating an active neurofeedback loop with your brain. That’s the implication from a recent research study published in Nature Neuroscience. The study divided lab rats into three groups; the first group was given unlimited access to a diet of high fat & high carb foods, the second group was given access to this food for only one hour a day, and the third group only had access to regular, boring lab rat food. As expected, the group with unlimited access to the high fat & high carb foods quickly became obese, by gorging themselves daily at twice the calorie intake level versus the group stuck with the standard lab chow. 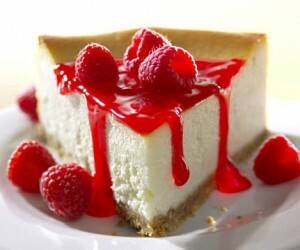 The second group, with access to cheesecake for only an hour each day, turned into binge eaters – they consumed well over 50% of their daily calories in just that one hour. The really interesting fact to come out of the study is that in the test group with unlimited access to high fat & high carb foods there were signs of physical, anatomical changes to their brains. Specifically, neurogenesis (new nerve cell growth) was occurring in the hypothalamus, a tiny and highly complex part of the brain that regulates appetite, sleep cycles, hormone release, and other important functions. The discovery that the hypothalamus was growing new nerve cells because of diet choices (changing from a balanced fat/carb/protein diet –> to high fat & high carb diet) adds to a growing body of evidence that high fat and sugary food choices create an ultimately unhealthy feedback loop between the body and brain – other research has shown that the dopamine reward cycle (and damage to) brain circuits from habitual cocaine use and high sugar intake are strikingly similar. So, what to do? First, know the basic steps to maintaining a healthy brain. 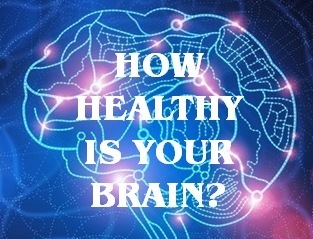 Next, take the Healthy Brain Test, and learn about the importance of consistent diet choices. Longer term, I can see how a new medical procedure could evolve where an electron or X-Ray beam could zap nerve cells in the hypothalamus to relieve cravings or addictions. We’re obviously years away from such a procedure, but basic research such as the Nature article points the way.